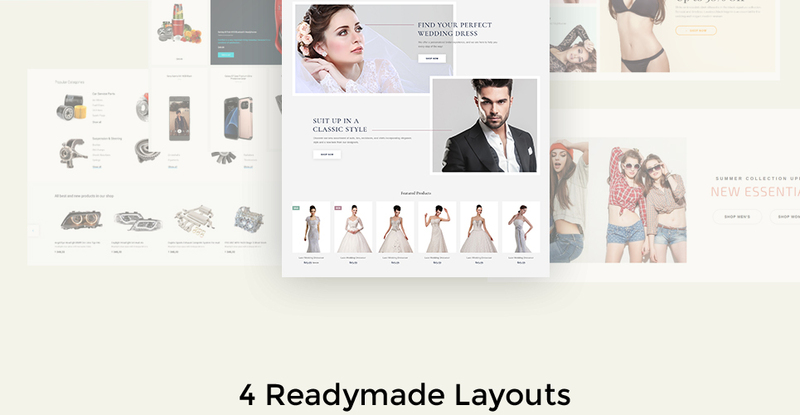 This luxurious template with exquisite design was created exclusively for wedding stores and contains latest user experience trends. 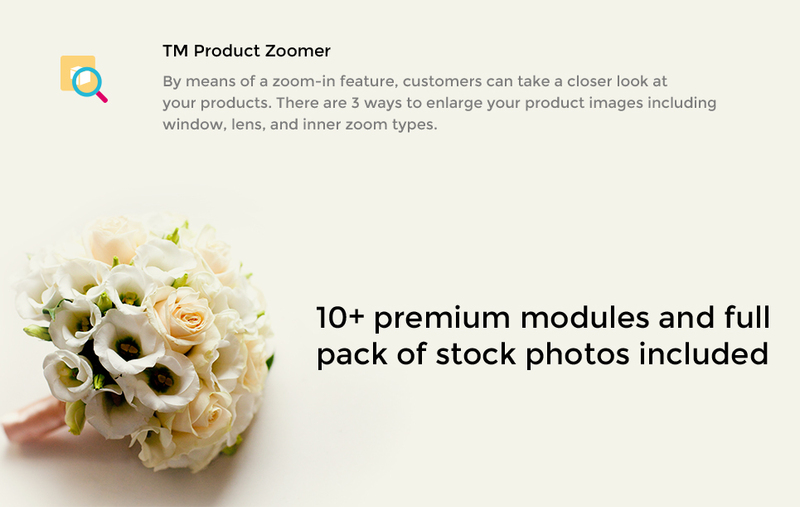 Our top notch TM Look Book module, integrated into the theme, helps to drive the customers' attention and increase the number of impulse purchases. It's actually a website component which will help to install a volume of data files saving the live demo website content. Sample Data Installer spare you the need of manual editing, so helping you save lots of time. Feel free to use the module with any WordPress template available at TemplateMonster marketplace. Responsive design renders an online page same exact well on any sort of display screen size. Considering the expanding popularity of mobile devices, the number of individuals who log on to the sites from mobile phones has increased a lot. This kind of functionality lets you adapt websites to cellular devices and various screen extensions, ultimately supplying mobile device users with better possibilities. Thanks to Bootstrap, you can set up totally responsive web designs utilizing HTML and CSS based web themes for typography, fonts, forms, buttons, tables, and so forth. When you travel someplace, far away items move very much slower as opposed to nearby ones. Replica of such an effect on the web property - when the background photo shifts slower than the content and articles, is known as parallax. It will be used to make a feeling of space in the site visitor's eyes. Parallax make it possible for your guests relate with your internet site and generate a better client experience. It can help you to differentiate yourself among your opponents. Let customers request support team's guidance or get a hold of sales department while trying to make a choice on the product. Your genuine help can transform viewers into loyal clients. Can I integrate the PrestaShop ecommerce theme for Fashion & Beauty Blog with third-party software or applications for development of my new products? No, you cannot get the developers license for development of PrestaShop ecommerce theme for Fashion & Beauty Blog or other products. How can I modify PrestaShop ecommerce theme for Home & Family News to suit my particular website? Please visit our Online Help Center to obtain detailed instructions on editing PrestaShop ecommerce theme for Home & Family News . What are the advantages of purchasing a PrestaShop template for Society & People News? The major advantage of purchasing a PrestaShop template for Society & People News is price: You get a high quality design for just $20-$70. You don't have to hire a web designer or web design studio. Second advantage is time frame: It usually takes 5-15 days for a good designer to produce a web page of such quality. Can I resell PrestaShop ecommerce templates for Bridal Accessories I bought the developers license for? You cannot resell the customized PrestaShop design theme for Home & Family Services as a template, but you may sell it as a project to your client. Are there any restrictions for using imagery, cliparts and fonts from the Fashion & Beauty Store PrestaShop ecommerce template I purchased? All imagery, clipart and fonts used in Fashion & Beauty Store PrestaShop ecommerce template are royalty-free, if not stated otherwise on the product page, and are the integral part of our products. One Time Usage License and Developers License give you the right to use images, clipart and fonts only as a part of the website you build using your template. You can use imagery, clipart and fonts to develop one project only. Any kind of separate usage or distribution is strictly prohibited. Can I put low resolution thumbnails of Fashion & Beauty Magazine PrestaShop ecommerce themes on my website for my clients to choose designs? What is Extended License for PrestaShop ecommerce theme for Fashion & Beauty Blog? 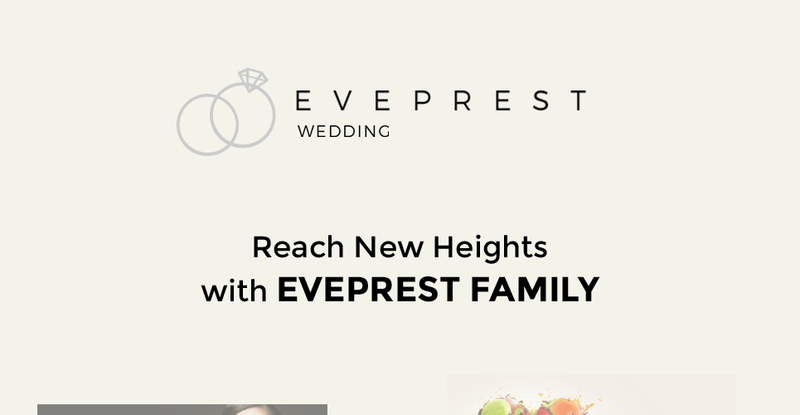 Is there any return policy for PrestaShop ecommerce themes for Wedding Event Coordinator? Requests for a refund are accepted at www.template-help.com/tickets within the period of 2 weeks after the order of PrestaShop template for Wedding Album is placed. You should accompany this request with detailed and grounded reasons why you apply for a refund. Please make sure your request does not contradict the terms and conditions specified in the policy. A refund is issued to you upon receipt of a Waiver of Copyright signed by you. Make sure that these charges for Society & People Services PrestaShop design have different order IDs. If it is so, contact our billing department. Are your PrestaShop ecommerce themes for Homecompatible with any CMS? How many applications, programs etc can I use to integrate with the PrestaShop templates for Society & People under one extended license? The extended license gives you the right to use the purchased PrestaShop templates for Society & People for the integration with one software/freeware/application/CMS/sitebuilder only. In case you would like to use the template with the other application, the other license is to be acquired. 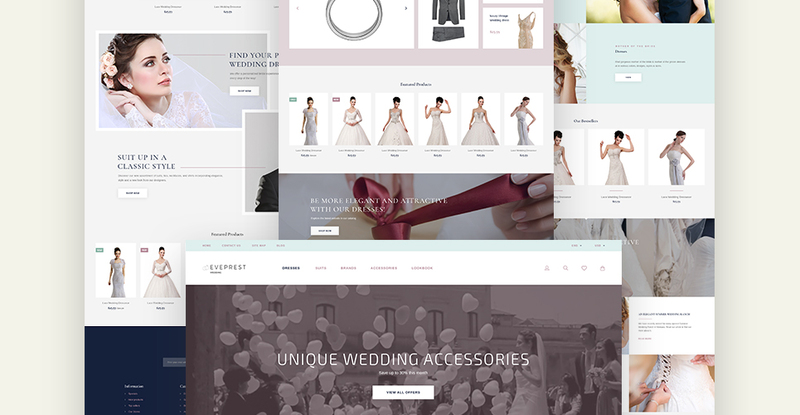 Will the PrestaShop ecommerce template for Wedding Shop be deleted from TemplateMonster database? No, the PrestaShop ecommerce template for Wedding Shop will not be deleted from TemplateMonster database. I ordered a PrestaShop design theme for Wedding Store but haven't received the download information. In case of not receiving the download information of a PrestaShop design theme for Wedding Store, please contact our Billing Department via support chat by phone or e-mail. What will I see instead of the images after installation of the Society & People PrestaShop design? After Society & People PrestaShop design installation you will see blurred images included for demo purposes only. Can I apply a discount code to a discounted PrestaShop template for Wedding or combine several discount codes together to get better price? 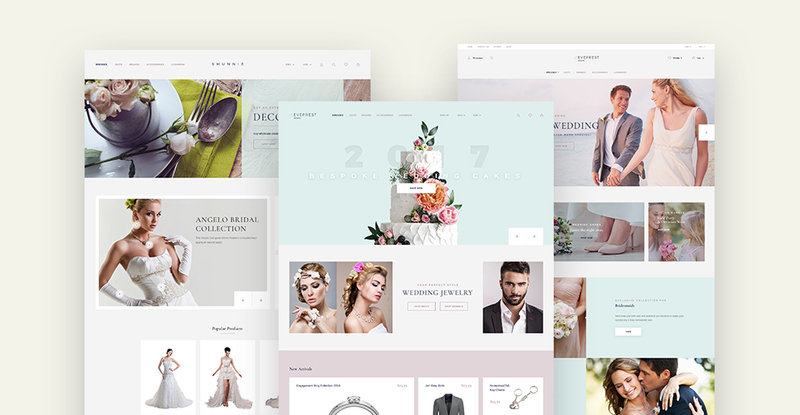 Will you help me to customize my PrestaShop template for Wedding Services? We do not provide any help or instructions on PrestaShop template for Wedding Services customization except for www.template-help.com help center. If you are not sure you can customize the template yourself we recommend to hire a design studio to customize the template for you. Are there any discounts if I'm buying over 10, 20, 30 or more PrestaShop template for Family? Please email to marketing@templatemonster.com with your inquiries about Home & Family News PrestaShop themes. What do I receive when I order a Beauty PrestaShop ecommerce theme from TemplateMonster.com? After you complete the payment via our secure form you will receive the instructions for downloading the Beauty PrestaShop ecommerce theme. The source files in the download package can vary based on the type of the product you have purchased.If you need unzipping software to open the .zip archive, Windows users may visit www.WinZip.com, Mac users may visit www.StuffIt.com. 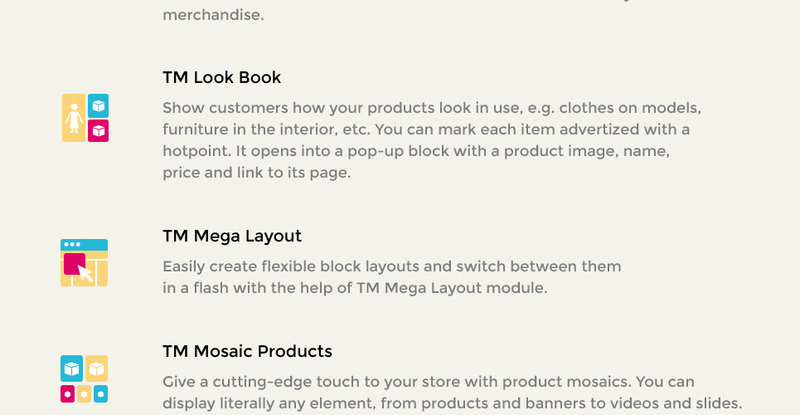 What is a one time usage license for a PrestaShop design for Fashion & Beauty Magazine? When you buy the PrestaShop design for Fashion & Beauty Magazine at usual price you automatically get the one time usage license. It enables you to use each individual product on a single website only, belonging to either you or your client. You have to purchase the same template again if you plan to use the same design in connection with another or other projects. When passing files to your client please delete the template files from your computer. Can I customize the PrestaShop theme for Home & Family Blog if that's required by application settings? Yes, you can customize the PrestaShop theme for Home & Family Blog code, graphics, fonts to any extent needed. Is it reasonable to make unique purchase of PrestaShop design theme for Fashion Beauty that was already purchased before? Yes, it's reasonable to make a unique purchase of PrestaShop design theme for Fashion Beauty. Because there is very small chance that you will find the same design on the net. There are more than 3,000,000,000 webpages online now according to statistics on www.google.com. I have customized the Wedding Ceremony Items PrestaShop design theme and would like to protect my content by copyright, can I place Copyright, Mycompanyname.com? After Wedding Ceremony Items PrestaShop design theme purchase you can put your copyright to the template. But you cannot place a line at the bottom (or any other spot) of the customized project saying "Website design by Company name". Nevertheless, you can place "Customized by Company name". 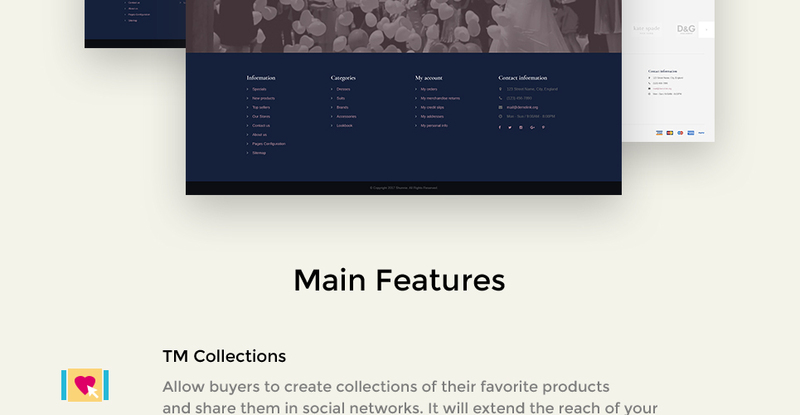 Can I resell the customized PrestaShop design for Wedding Cake? No, you cannot resell the customized PrestaShop design for Wedding Cake as a template but you may sell it as a project to your client (see paragraph 1 ONE TIME USAGE LICENSE for more details). 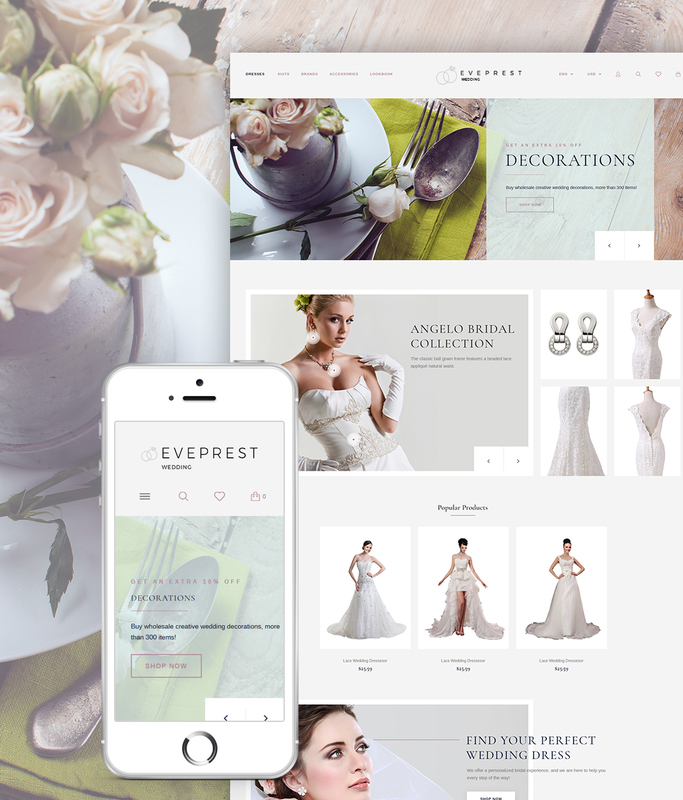 Can I contact the Bridal Accessories PrestaShop ecommerce template author? Yes. 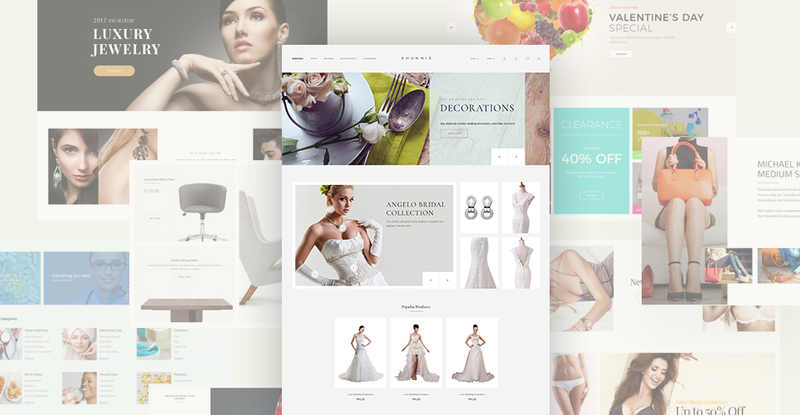 You can contact this Bridal Accessories PrestaShop ecommerce template author/author's team directly using your personal account under the Support tab.